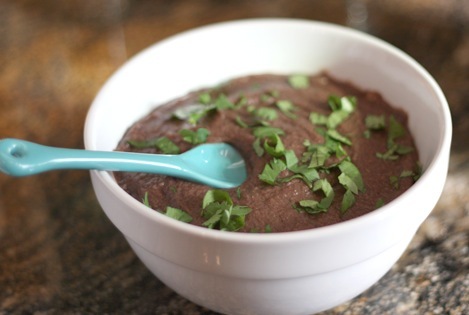 Take all ingredients into food processor and blend until even forming a healthy and delicious bean dip. Can be served at room temperature. If you make the black beans fresh you will need to soak them the night before. I like buying the dried beans as they are so much less costly then the canned. One bag of black beans that runs $1 will make 8-10 batches of bean dip on several ocassions which is considerably less then buying already made or cans. If you are looking to save money and have the extra time to soak the beans the night before then it will definitely be worth it and save you big. Tasty dip. We all enjoyed it. This is delicious! Thanks for the great recipes. I am always excited.